Mumbai: 13th, December’17 – LiuGong India, a 100% subsidiary of Guangxi LiuGong - World's Largest Manufacturer of wheel loaders, proudly announces the launch of 2 All New Products - 921D I Excavator & 611 Compactor. Today LiuGong India among the Market Leaders in Construction Equipment Sector completing its 15 years of Business in India. 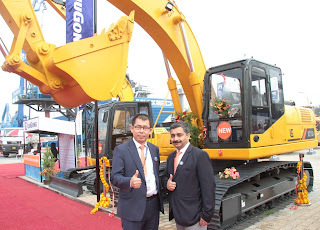 LiuGong India being the market leader in Wheel Loader are consolidating their position by launching tracked excavator and compaction equipment emerging as a one point solution for the road and mining industry supported by highly experienced professional dealers and more than 50 touch points pan India. Liugong India is in sync with Indian government policies be it regarding implementation of GST or promoting make in India movement or regarding the massive infrastructure development plan they are in plan of Launching Paver & Tandem Rollers to support the rapid infrastructural boost. LiuGong India’s Machines are designed and tested to operate in the toughest condition globally. 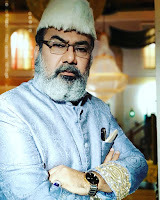 The machines rolled out of the Indian plant are well tested in Indian condition for a prolong period of time and prove them self to be most suited for Indian condition. World Class Component been used in the equipment be it engine , transmission axle ,cylinders or control valve all are from renowned manufacturers like Cummins, ZF or Kawasaki. LiuGong machines use proven Technologies to thrive in the Most Rigorous Conditions of India making them - Highly Efficient, Durable, Simple to Run, Easy to Service and Cost-Efficient too!